Spring home projects are starting up everywhere. Do you know that homeowners spend between 1% and 2% of the total cost of a home on repairs each year? While this figure is only for routine maintenance – the cost of remodeling an entire room is much more expensive. For instance, a bathroom can run upwards of $9,000 to remodel, with basements and kitchens easily doubling the cost at $20,000 or more. With the biggest cost on home repairs usually being labor, it makes sense to tackle repairs on your own or with a handyman. But, I caution you to remember that even though you can perform some projects yourself, that doesn’t mean it’s the right thing to do. Additionally, it’s important to note that a general contractor in Arizona may have a different skill set than one in Florida. You simply have to do some research to find out which contractor meets the requirements of your particular project. To help you make the right decisions for your home projects, here are some guidelines and information for your consideration. There are three major factors to consider to decide whether or not your home projects need the intervention of a licensed and insured contractor. Determine the safety risks inherent with your project. Be clear about the level of skill required for successful project completion. Establish timeline requirements and your ability or inability to meet those deadlines. Before tackling any renovation on your own, take a good look at the possible safety risks. For example, if your project entails roof or electrical work, an accident can result in death or at the very least, hospitalization. So, if there is any doubt in your mind about your capabilities, I strongly suggest that you hire a contractor. For instance, some of the more difficult plumbing jobs, such as moving fixtures, poses a threat to your home’s structure. If you don’t install all the pipes with the right seals, it leads to water damage down the road. 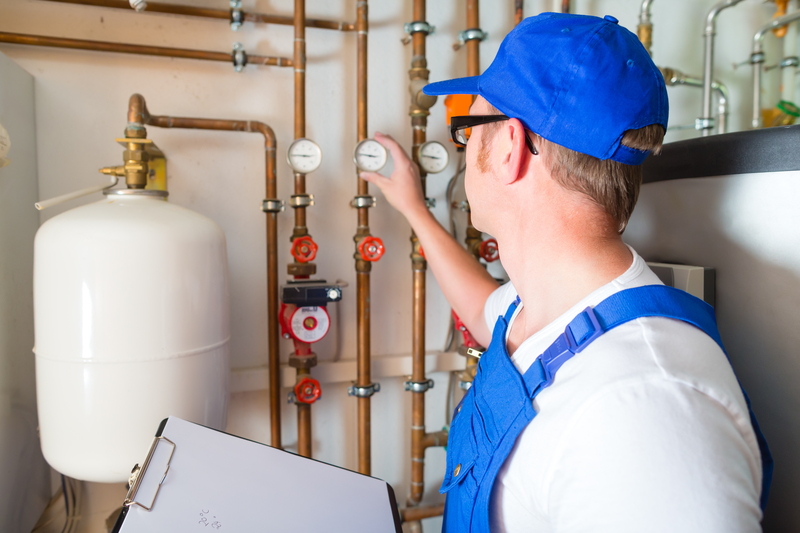 A professional plumber installs the pipes properly, and many offer a warranty on the work they perform which adds an extra layer of protection for you. If remodeling any part of your home requires a permit, you should have a professional perform that job. Remember, permits often require inspections at different phases by local government inspectors to ensure requirements are met. Projects that require tall ladders such as skylights (also see electrical). The use of heavy chainsaws to trim your trees (also see ladders). Sprinkler system installation due to buried cables and pipes. Repairing siding that is near electrical lines. Removal of toxic substances such as black mold or asbestos. Before you being any project planning, first, estimate how long it takes the project to be completed. Unless you’re an ace at your particular project, we highly advise that you consult with a professional contractor. Deadlines often involve requirements by local government agencies with regard to permits. They also involve one phase of a project to be complete with inspections before the next phase begins. So, before you begin any renovation to your home, consider the difficulty of the project, the safety issues, and the timeline. All these factors help you determine if you, in fact, need a professional contractor. In conclusion, if any of the phases of your home projects are out of your scope of expertise, hiring a professional contractor is always the best option. It’s true that it may cost a bit more up front, but, you save money and eliminate stress by having the job done right and on time.